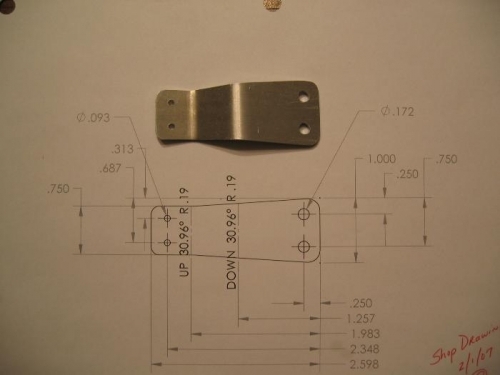 Made two main gear and one nose gear micro switch brackets out of 2024-T3 .063 sheet. Had to make the nose gear twice. 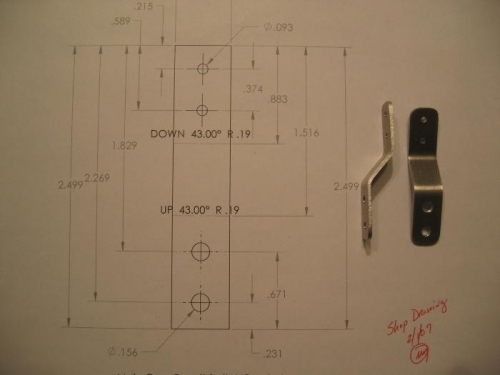 There was an error in the manual, overall length was dimensioned as 2 1/4 inches but is actually supposed to be 2 1/2 (drawing is actually full scale). This is a place where my habit of making a shop drawing bit me a little! As usual the second part only takes about half the time. I also started cutting some of the 4130 steel parts for the pitch trim spring cartridge assembly.